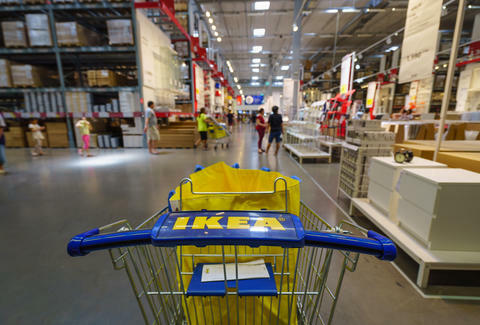 As omnipresent and affordable as Malm drawers and Ektorp sofas may be, IKEA's impossible-to-pronounceable furniture has long been a source of major stress for its customers. Namely, because practically every big item you buy there requires some arduous DIY assembly. Fortunately, the Scandinavian megachain just announced it's acquired Taskrabbit, the chore-outsourcing service frequently used by IKEA customers looking for a helping hand for assembling their new furniture. That means it may soon be a whole lot easier to put together your bookcases without going full Allen wrench-wielding psychopath. The acquisition, the financial details of which haven't been made public, will bring Taskrabbit under the control of the huge home goods brand. The startup boasts a network of around 60,000 "Taskers" or independent freelancers looking to get hired for random gigs (e.g. yard work, packing/moving, general home improvement help, etc. ), but has earned a reputation as the go-to service for people who can't be bothered to put together their IKEA haul. In fact, according to Recode, the the two companies recently established a partnership in the United Kingdom around furniture assembly, and Taskrabbit has been known to specifically market its workers as perfect for helping IKEA customers put their new furniture together. While industry experts see the move as a way for IKEA to more firmly establish itself in the tech space, some interpret it as an admission that its furniture is simply too damn hard to put together by yourself (an issue they recently appeared to be addressing). Either way, the hope is that soon it will be much easier (and cheaper) to get a helping hand setting up your living room full of fresh Kallax shelves and Billy bookcases, perhaps by connecting with a Tasker via an in-store kiosk before you even make it to the checkout line.